Are Stelrad Radical Radiators Good for the Environment? Home » Are Stelrad Radical Radiators Good for the Environment? When installing new radiators, there are many different factors to take into consideration. Of course, most people want it to look aesthetically pleasing but it is also important that you factor in the effect our energy consumption has on the environment. This then, in turn, can affect our heating bills and see us paying less! 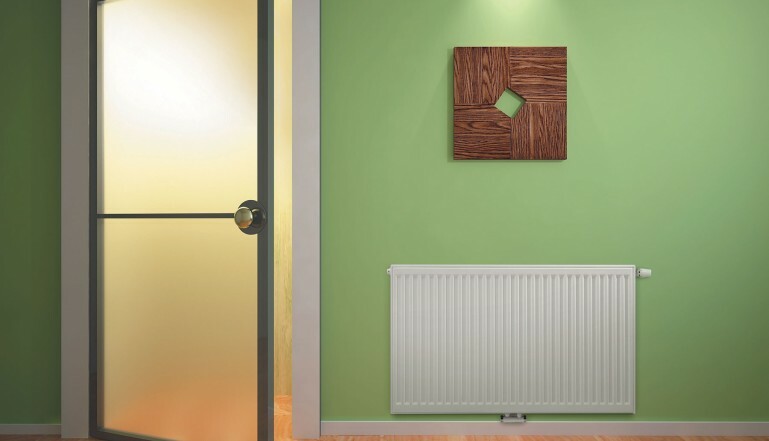 Stelrad Radical radiators are the first serial feed radiator in the United Kingdom. Find out more about this energy saving radiator and their impact on the environment below. Stelrad is a company with a conscience and believes that the heating industry has a huge role to play in developing heating systems that work more efficiently. With the Stelrad radical radiators, their aim of creating a radiator that produces more heat at lower temperatures has been extremely successful! The power used in buildings accounts for more than 40% of global consumption! This of course, has a huge impact on the environment. Smarter energy management, however, means that buildings can potentially emit up to 60% less CO2. The European Union is slowly moving towards smarter energy management. They are doing this by making energy consumption standards stricter. The Stelrad Radical radiators name is taken from the standpoint that they are a ‘radical’ step forward. These radiators can produce even more radiant heat than your traditional radiators. This will, in turn, save you energy while increasing your comfort levels without having to spend more. The facts and figures speak for themselves with Stelrad Radical radiators. These radiators can save you up to an incredible 10.5% on your energy bills! This is a better comfort, but at a low thermostat rating. It will also reach its mac temperature 23% faster than a traditional radiator. As it is the first serial feed radiator, users will also feel warmer faster. The cost saved on both your pockets and the environment make these radiators well worth the investment! Is It Compatible with Renewable Energy Resources? What’s fantastic about Stelrad Radical radiators is that they are fully compatible with renewable energy resources! It works with both solo and multiple heating installations. These radiators can be connected to modulating gas and fuel burners. It is also compatible with a range of low-temperature systems. This includes solar cells, biomass installation and heat pumps. Combining Radical radiators with renewable energy really does give you the best of both worlds and can make a real impact on the environment. Overall Stelrad Radiators are great for the environment, using a lot less energy and fossil fuels than your standard radiator. Plus, we’re sure most people won’t be complaining when this ultimately saves them money too! Contact us today to find out more about Stelrad Radical radiators or if you would like them installed.